There are no wrong or right ways to layer your jewelry so have fun with gold and silver mix and match necklaces. Layering a string of pearls, perhaps from an anniversary, with a gold chain can look stunning. If the pearls are long you can double them and use them as a choker, layering then with a chunky chain or gold charm necklace. To keep the trend fresh use different textures and colors, even adding semi –precious stones and you will put together a very interesting fashion statement. Larger than life statement pieces pair well with delicate diamond necklaces and medium length chains. 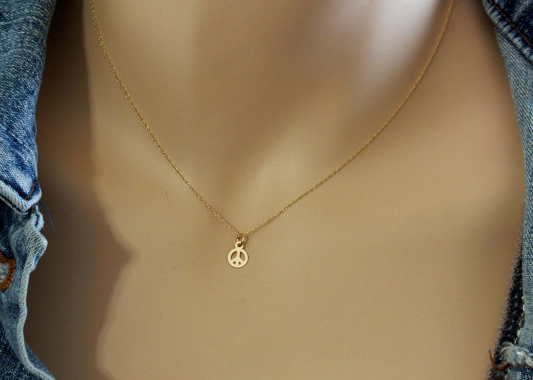 Another stunning addition that will bring in a little Boho Chic to your collection is a gold coin or peace sign. Mixed together with a semi-precious stone pendant or delicate choker, they make the perfect pairing for today’s layered look. Another big statement in gold necklaces this summer is the peace sign and gold coins. 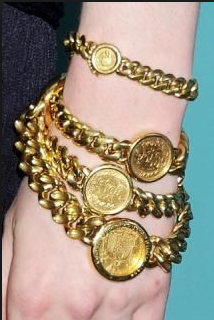 These two gold jewelry items are making a huge comeback. 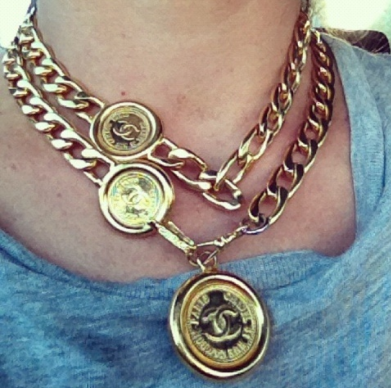 Hang them on a heavier, longer gold chain and they will add texture to your collection. 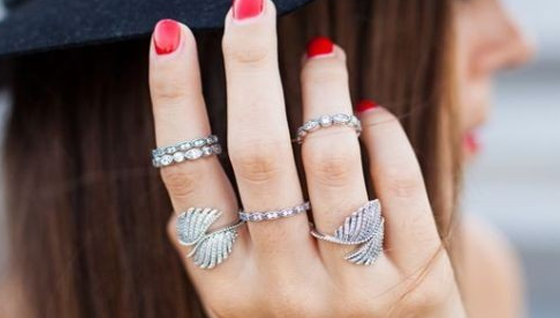 You can always add a gold or silver feather charm to one of the chains for extra pizazz. 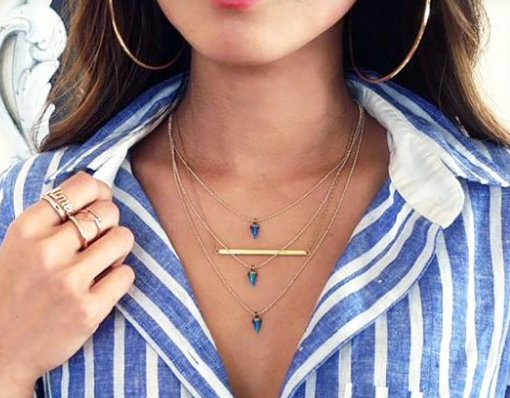 This layering trend is such fun and will truly allow your individual personality to shine through and enhance one of the most beautiful parts of a woman’s body !